Londoners – and other people across the combatant nations – were keen to keep servicemen prominent in their thoughts during the Great War. The residents of Chichester Road, Leytonstone erected a ‘war shrine’ to remember their friends and loved ones and, unusually, kept it after the war. Early in the war, prayers of intercession were offered for soldiers and sailors, with their names posted up on notices in the church. By 1916/17 these were superseded by street shrines (also known as war shrines) displaying the names of those serving from the locality and other friends and relatives whom residents were praying for. 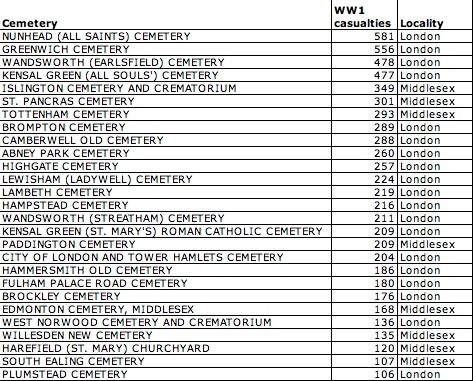 Mark Connelly’s book Great War, Memory and Ritual lists five in East Ham, two in Romford, two in West Ham and one in Ilford – and that is unlikely to be a complete list even just within those boroughs of East London/South Essex. In Leytonstone, the residents of Chichester Road erected one in their street. In the end it named 32 servicemen, of whom five died and 27 survived the war. 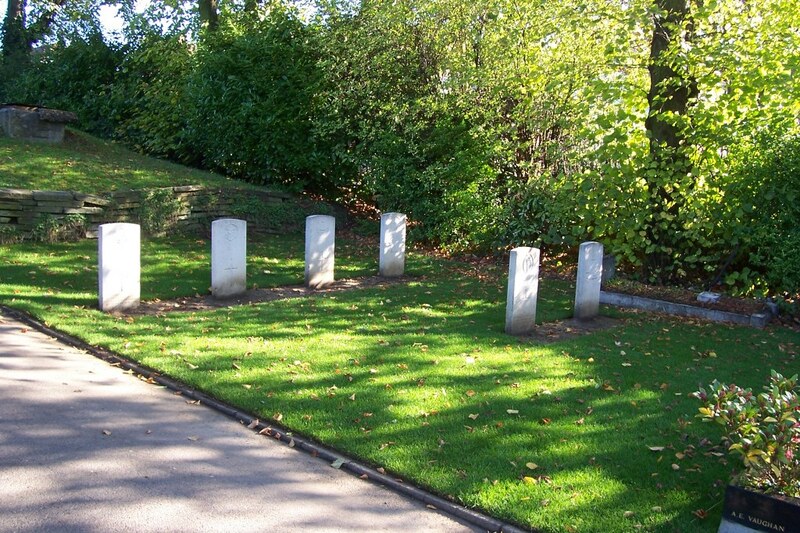 Most street shrines were removed after the war and replaced with war memorials listing only those who died. Some churches still retain both lists after the war. 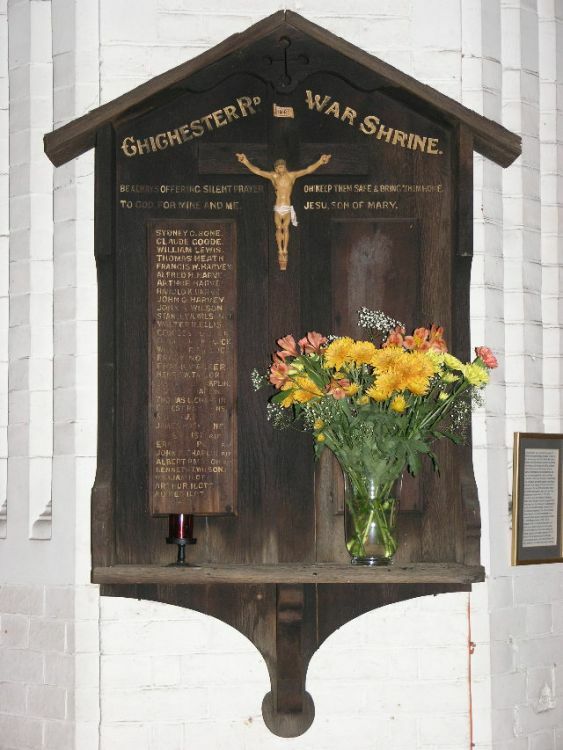 The Chichester Road shrine remained in place until 1995, when it was moved into nearby St Margaret’s Church for safe keeping. One of those named on the shrine was Claude Francis Goode, who lived at number 28 with his family – who were originally from Bath in Somerset. Before joining up, Claude worked as a compositor at HM Stationery Office HMSO. Claude enlisted in September 1915, giving his date of birth as July 1896 (although freebmd gives his birth as 1897). He originally signed up for the 3rd/1st City of London Yeomanry, the training battalion of the famous ‘Rough Riders’. Soon he was moved to an infantry unit though, joining the 11th Battalion, Royal Fusiliers. In his three years of war service, Goode spent a year and a half abroad and was wounded twice. The first injury is not properly recorded in his records, but resulted in two GS wounds (gun shot wounds, but they could include shrapnel wounds, not just bullets) on the righthand side of his chest. In October 1918 he was in action again and was wounded in his left foot, with another GS wound fracturing his toe. Luckily it was a minor wound and, having been moved back to the UK via 47 Casualty Clearing Station and No 9 American General Hospital in France, Goode was discharged without any disability from his war service. Another Chichester Road family had several names on the list – the Harveys at number 16. Of John William and Annie Harvey’s eight sons, at least three appear among the legible names on the war shrine. These were Francis William (the eldest), Alfred Harry and John Clements. Francis William Harvey’s war record is available online and shows the kind of military career a trained craftsman was often able to have if he avoided the infantry. As a carpenter working on the railways (like his father), when Francis William Harvey joined the army in 1916 his skills were put to use. He had attested in December 1915 and was called up in August 1916 and allocated to the Railways Operating Division of the Royal Engineers. In 1917, he was transferred to the 17th Wagon Erecting Company, where he worked (perhaps unsurprisingly) erecting wagons. He gradually increased in proficiency as a carpenter, through the official categories of ‘proficient’, ‘skilled’ and ‘superior’ to ‘v superior’ in early 1919, when he was also promoted to Lance Corporal. During that time, he also married Gertrude Eleanor Stiles, a dressmaker living in nearby Newcomen Road – on Christmas Day 1917. Like Claude Francis Goode, Harvey returned from the war – he was demobilised in November 1919. We should not be misled by the memorials created after the war into thinking that commemoration and remembrance in wartime was also focussed on death. It was not. The public sites of memory created during the war were primarily about remembering those who were serving. 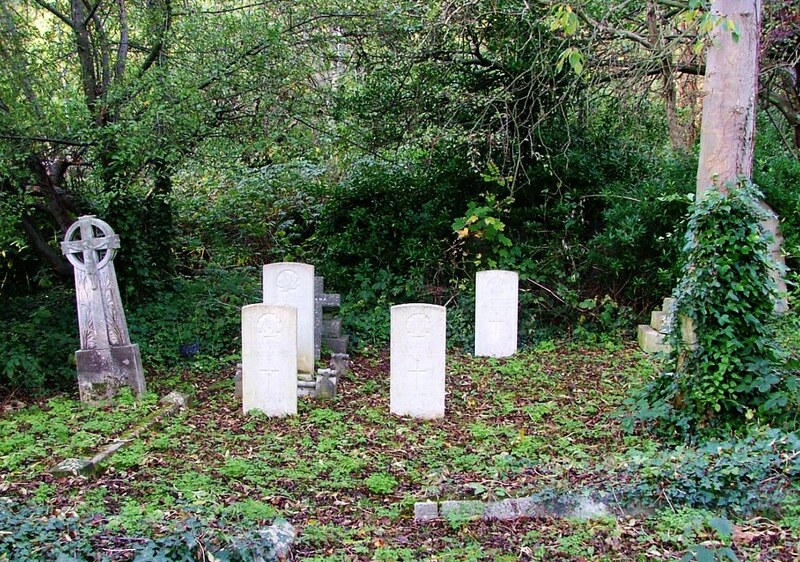 Unlike the war shrines as objects, most of the men (and women) listed on them survived the war, like Claude Francis Goode and Francis William Harvey of Chichester Road, Leytonstone. Fireworks were not really the done thing in the frontline trenches in the Great War. But men of the Rangers – a battalion of the London Regiment – celebrated Guy Fawkes night in their own way in 1917, with a ‘guy’ made to look like German army commander Paul von Hindenburg. at the tips always associated with the more aristocratic members of his Fatherland, while on his breast he wore an enormous iron cross — of tin-foil — which proved him to have been no feather-bed warrior ! He filled out well, too, during his short stay with us (I wonder where they obtained the straw), and altogether he was quite a smart little soldier by the time that the night arrived when he was destined to do his bit. Nobody can complain that the party that escorted him to the scene of his life work was unworthy of the dignity befitting one who bore such an honourable name. The party that crept over the parapet and out into No Man’s Land on the night of November 5th, 1917, consisted of one Adjutant, one Intelligence Officer, three Company Commanders, three Platoon Commanders, one Officer ” attached for instruction ” (I will not describe him more fully, lest international complications might ensue) , one Regimental Sergeant-Major, one Company Sergeant-Major, and one Scout, who acted as Chief Bearer to the principal member of the expedition. It was not exactly a silent patrol, that made its way towards the opposite lines. Too many cooks are said to spoil the broth — a proposition which I should be prepared to dispute — but, undoubtedly, it is a fact that too many Officers spoil a Patrol, and if “Hindenburg’s” brothers in arms did not hear the arguments that were proceeding the whole time — by no means sotto voce — as to the ideal location for the hero to be erected, then the discipline and alertness of their sentries must have been of a very low order indeed. However, no mishap occurred at that stage of the proceedings. An ideal site was at length agreed upon and with loving care Hindenburg was placed in position. A screw-picket served to support him on his lonely vigil — and there we left him, with arms upraised in the true ” Kamerad ” fashion, his iron cross shimmering in the moonlight, his face pale, but his moustache as fiercely triumphant as ever — as nice a little ” Guy,” as any Bosche who was well trained in his History of England could possibly desire. Over the adventures that befel certain members of the party on the return journey I will draw a veil. It will be sufficient to say that certain members of both the opposing armies got severe shocks, and a good deal of perfectly good ammunition was exchanged. However, no casualties ensued on our side, and even if a certain Hun sentry did get a rather surprising reply to his challenge, I doubt if he were very much the wiser as a result! On November 5th some frivolous Rangers constructed a “Guy” out of an old German uniform, with a sandbag face painted in a colourable imitation of the “All Highest,” and wearing an enormous Iron Cross cut out of a biscuit tin. They carried it out into No Man’s Land and erected it there. Next morning, as it began to grow light, the enemy spotted the object, and opened machine-gun fire on it at once, but soon spotted their mistake. They turned the laugh against us that night by capturing the effigy. Chapters XVIII (II) and XIX of The Rangers’ Historical Record. 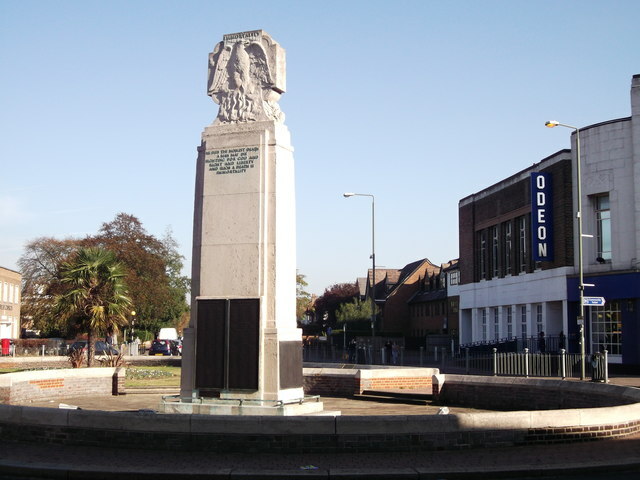 At a major crossroad in Beckenham stands the local memorial to the dead of the Great War, which was unveiled on 24 July 1921. Instead of Field Marshal Douglas Haig, who had been invited to attend, the monument was unveiled by local war hero Bert Hanscombe, a local dustman. The monument is of the cenotaph type, and stands 23ft high and is built of Portland Stone. It stands at the junction of Beckenham’s principal roads and has cost about £2,500. There are 711 names inscribed on twelve tablets. Field Marshal Earl Haig – commander of the British Forces in France and Flanders from December 1915 to the end of the war – was invited to unveil the monument but was apparently unable to attend. Instead of seeking another top-brass figure to carry out the ceremony alongside the Bishop of Rochester, the organisers asked local war hero Bert Hanscombe to do it. The newspapers also referred to the fact that he was one of nine brothers who served. In 1901 census, Bert is listed at 2 Rosemeath Terrace, Arthur Road, Beckenham with his widowed mother Sarah Ann Hanscombe and six other brothers: Frank, Frederick John, Richard Arthur, Joseph, David and Stephen. Bert himself was born in 1887 and, in 1909, he married Ellen Cromwell. In 1911 he was working as a dustman for Beckenham urban district council and they lived at 173 Churchfields Road. Sarah and most of the other brothers were living at number 93 (possibly the same house as in 1901, as Arthur Road had been renamed Churchfields): Frederick and Richard working as carmen (i.e. drivers) and Joseph and Stephen as landscape gardeners. Thee eldest brother, George Edward, is listed with his wife Annie on a separate entry for the same address – 93 Churchfields. 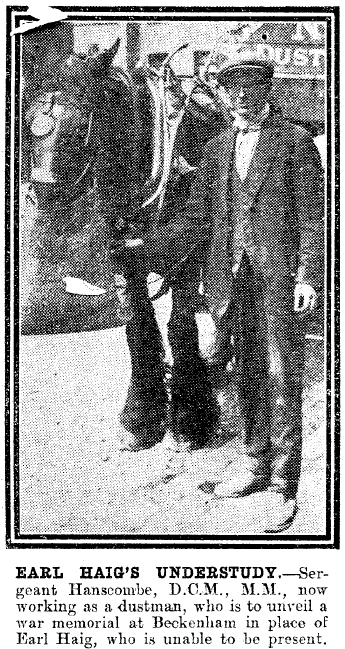 The ninth brother, James (b 1880), was living with his wife in Wales by 1911, working as a stoker. By 1914, several of the Hanscombe boys had military connections. David had joined up as a regular soldier in the 2nd East Surreys and was serving in Burma, while Joseph was in the same regiment’s Special Reserve 3rd Battalion. George Edward had served in the East Kents (the Buffs) from 1898-1910, including five years in India where he contracted Malaria and was sent back to the UK via Aden. Once the war had begun the all other brothers did indeed serve. Joseph served with the East Surreys in Salonika and contracted malaria in September 1917. In November-December 1918 he was in hospital again with a relapse, treated in the malaria camp in Great Baddow, Essex. David arrived in France in January 1915 and was wounded, being discharged (after a transfer to the Royal Welsh Fusiliers) in November 1916. He later rejoined the army and served with the RWF again. 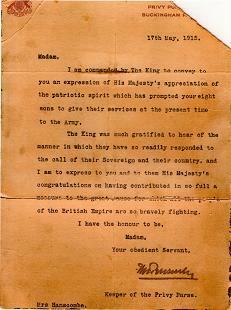 Frederick John Hanscombe joined the 1/22nd London Regiment (the Queen’s). He was retained at home by his unit, to work in ordnance depots. Sadly, he was not safe even there and suffered severely injuries to his head after an accident while loading ammunition. After being demobilized in 1919, he returned home to his wife Louisa Annie Hanscombe in Rotherhithe. He continued to suffer the effects of his accident and was sent away to a hospital in Wiltshire; he died in 1940, never having fully recovered from his accident in the Great War. Richard served in the Royal West Kent Regiment, in their 1st and 8th battalions, arriving in France in August 1915. His bravery at Nieppe Forest in 1918 is decribed in the 1st Battalion’s history, ‘Invicta’ by Major C.V. Maloney: “During the operation of 28th-30th June 1918, when all the company runners had become casualties, [he] repeatedly took messages to Battalion H.Q.under heavy shellfire. His fearless conduct and fine sense of duty set a fine example to all.” In 1920, he was awarded the Distinguished Conduct Medal for “continuous gallant conduct, covering a long period of service in France. This soldier has on every occasion showed exceptional gallantry and very high sense of duty and has taken part in many actions.” (LG 11/3/1920) High praise indeed for a private soldier! Bert himself arrived in France as a private in the East Surrey Regiment on 1 June 1915 and was promoted to Sergeant, according the newspapers this was during the battle of Hulloch, part of the Battle of Loos. He was serving in the 7th battalion in 1916 when his son Stan was born (see entry at the bottom of this page), but it’s not clear whether this was his unit throughout. In September 1916, he was awarded the Miltary Medal for bravery in the field. 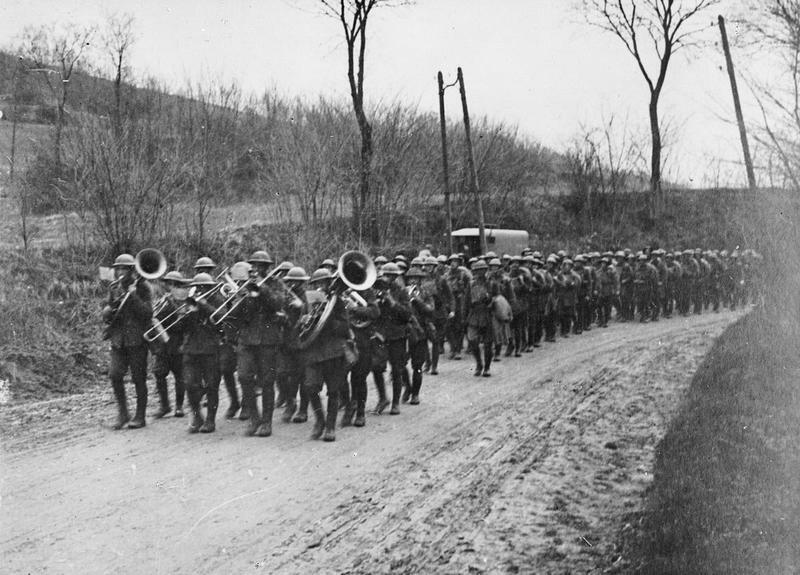 The Hanscombes served en masse and for a long time – most were a theatre of war by September 1915, with old-soldier George following early in 1916 (and only Frederick remaining in the UK). Oddly, though, Bert Hanscombe does not appear to have earned the DCM, despite the decoration being mentioned in all the papers at the time. Perhaps the reports confused Bert and Richard and conflated their decorations (it may be possible – but it less likely – that Bert’s DCM is simply not recorded in the available London Gazettes, but he also does not have a DCM medal card, unlike his brother). Both brothers were heroes so it doesn’t really make too much difference – they were the two who were given gallantry medals out of a set of brothers who served in the war. 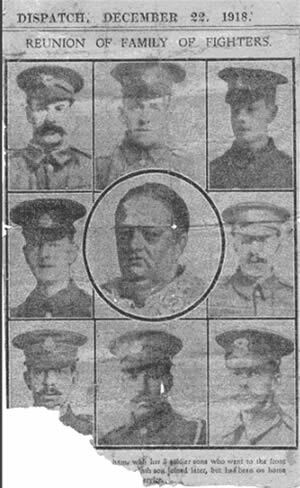 At Christmas 1918, Mrs Hanscombe was interviewed by the Weekly Dispatch about her sons’ service – they were all expected home for Christmas that year. ‘I never believed they would all come back’ she told the paper, relating basic accounts of where each son had served. The Hanscombes’ service and reunion marked in the Weekly Dispatch. Mrs Hanscombe also told the paper that she had had a letter from the Buckingham Palace to thank her for the the patriotic effort and sacrifice her family had made in answering their nation’s call. 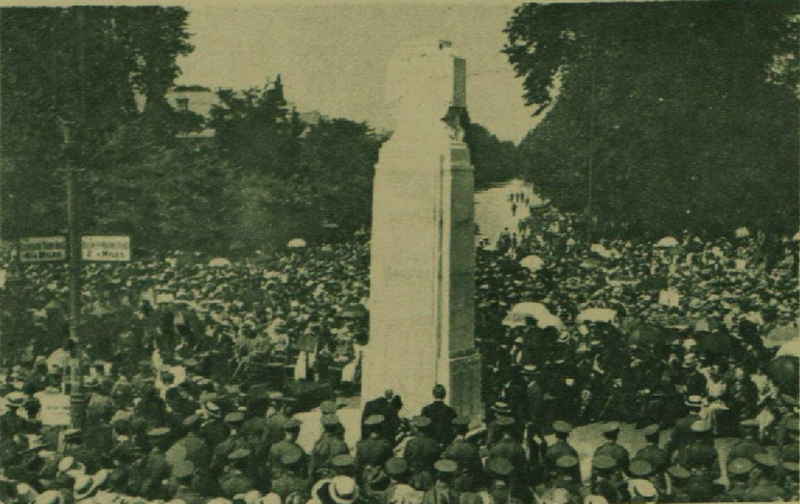 Two years after the family reunion, Bert was given the honour of unveiling the Beck war memorial, in front of a crowd that reportedly number 10,000. 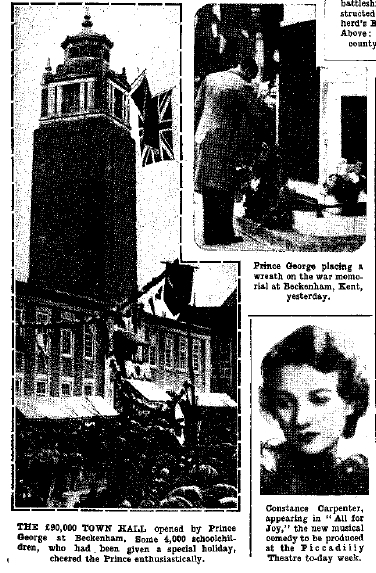 In October 1932, Prince George, the Duke of Kent, visited Beckenham to open the new Town Hall. Earlier that afternoon visited the memorial to lay a wreath in 1932; a one of the Hanscombes played a part (it is not clear which, but it seems like it was probably Bert) – this time as the chairman of the local British Legion, whose guard of honour the Duke inspected. Sadly, Sarah Ann Hanscombe did not live to see her son acting as a local VIP in unveiling the local war memorial. She died in early 1920. All of her sons who had served in the war survived it though. Unfortunately, David (who appears to have been the only one to remain a soldier) was killed in action in Waziristan in May 1922, though – shot by a sniper at Ladha. I am very grateful to Roy Hanscombe for providing me with the extra information and images in the update of this post – 21/12/2013.